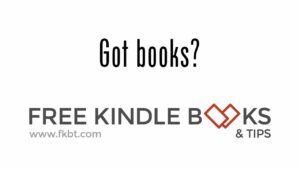 I just wanted to send out a quick message we have a winner for our last giveaway of a new Kindle Paperwhite: Linda S. of Douglasville, GA – congratulations! Linda replied back promptly to me after being notified, and her new Paperwhite will be delivered Tuesday. If you weren’t the winner, I feel fairly confident there will be another giveaway sometime soon, so stay tuned! How about we kick this one off with one of the new Kindle Paperwhites? This is Amazon’s newest e-Ink reader and is waterproof with twice the memory of previous versions. How about taking a few seconds and enter to win it? I am certain your friends and family would like for you to tell them about it, also! The time period is between now and 11:59 p.m. Central Time March 22nd (that’s a Friday). If you’re reading this on your e-ink Kindle or via email and not the actual blog page, you can go to your computer’s web browser and type in http://geni.us/319gw and enter away! With less than a week to go, please don’t forget we’re hosting a giveaway for a new Amazon Echo: don’t pass this one up! It’s free to enter, so what are you waiting for?? Just click here or go to http://geni.us/1218gw for your chance to win! Before this year is up, let’s do it again one last time – it’s time for another giveaway! This time it is for a new Amazon Echo Plus– the one with the best speakers as well as a hub for your “smart” home networking benefit! How about taking a few seconds and enter to win it? I am certain your friends and family would like for you to tell them about it, also! The time period is between now and 11:59 p.m. Central Time December 19th (that’s a Wednesday – want to shoot for a no later than Christmas delivery). Promptly order the Echo Plus and have Amazon send it to the confirmed winner. If you’re reading this on your e-ink Kindle or via email and not the actual blog page, you can go to your computer’s web browser and type in http://geni.us/1218gw and enter away! We do have a winner for our Kindle Paperwhite Giveaway: James S. of Spring Valley, CA – congratulations to James! I have ordered, and Amazon has already shipped, James’ new Paperwhite and he will be receiving it Thursday. I’ve been asked many times if we are going to hold another giveaway – stay tuned, and be sure to tell your friends about www.fkbt.com! Today is the last day to enter, please don’t forget we’re hosting a giveaway for a new Kindle Paperwhite: what are you waiting for?? Just click here or go to http://smarturl.it/1118gw for your chance to win!